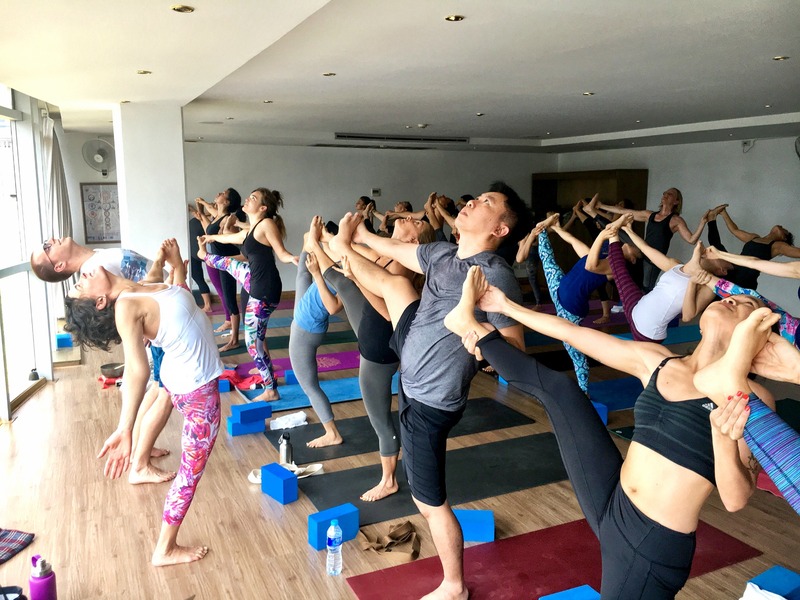 It’s been said that community is the number one reason a yoga student comes to class, and the number one reason they return. Cultivating community in a yoga class can serve students and teachers in a profound way and improve retention in your yoga classes. It has the power to dissolve perceived limitations or boundaries between us, whether that stems from variety in skill, background, level, culture, or religion. After all, it is not only a miracle that we are alive but that we have the chance to participate in such a fulfilling and exploratory practice together. So, why not celebrate that privilege as well as each other! 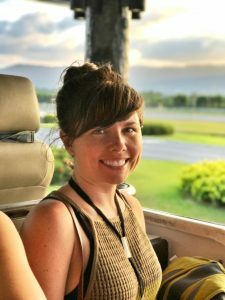 In my own experience traveling with Amy Ippoliti, I’ve had the privilege to plant myself into communities around the world. And even if it is for a short while (a weekend of workshops, for example) I always learn and gain so much from being a part of these communities. I’ve witnessed students, once afraid to try a pose, find the courage to at least try because their peers are cheering them on and offering support. Encouraged by their peers, the student tries the pose and goes much further than they thought they could. They come out wide-eyed and ecstatic, having caught a glimpse of the vast world of their own potential. Moments like this illustrate the celebration that can happen once you have the support to break through your self-limiting thoughts. When you call on your community, you strive for beyond what you know. You expand your belief of what is possible and, often times, you surprise yourself with what you’re capable of! Your community has the power to reflect your gifts back onto you. As a teacher, you have the opportunity to remind your students that they are gold; that you do not take for granted the opportunity to gather and practice together. This is also where the power of centering comes into play. If you are teaching a group class, take some moments in the beginning to talk to your students. Make eye contact. Tell a story or introduce a theme that they can relate to; that could bring more meaning to their practice and their life. I can’t tell you how much this changes the energy in the room. It’s an act of honoring the fact that we are here for our individual practice but also for human connection. If you are teaching a longer class, workshop, or training, bring your students close into a cluster so you truly begin together. You can lead your class through a contemplation or pranayama to unite the breath and foster a collective energy. Have students reach their arms to the side during Virabhadrasana 3 and hold each other up by the shoulders. Bring students to the top of their mats In Utthita Hasta Padagustasana. Ask the them to hold their neighbor’s foot as they extend the leg. Cue your students to look to the left and right in cobra to make eye contact with the people next to them. At the end of class, instead of only bowing to the center, bow to each other and make eye contact with both the classmates and the teacher. Get to know your students and use their names when assisting them. This will make them feel that they have a special place in class. Show humility and lightness yourself as a teacher to reaffirm that you are not above your students. Again, we are all in this together. So, when you bomb a demo or call out the wrong side by accident, make it a moment of humor and connection. We’re all human! Encourage your students wherever they are in their practice. Emphasize how important it is to feel good rather than achieve the full version of the pose. Value the varying levels in your class and the students will value that in each other. Hold space for camaraderie rather than competition. Remind the class that this is an inner practice and this will naturally bring people away from the “comparison” mindset. This, in turn, will create a feeling of support. As a teacher, you have the opportunity to set the example and create a safe environment for your students to explore. It is important to challenge students to go beyond what they know but to do it with a caring heart and an appreciation for where your students are at. End class with a chant or closing prayer to evoke the same sense of community you set at the start of class. For example, “may we not only assimilate the benefits of this practice but offer it to others so they too may receive.” It is powerful to end class by both receiving and giving the practice. It inspires the students to honor one another and take what they learned out into the world, spreading their own light and celebrating others’. Some studios and teachers like to cap off the experience by offering snacks or beverages for the group to eat while chatting at the end of class. This is a great way to build connection off of the mat. Leave a comment below on how you create community in your yoga classes!